Tried to go this past Friday evening and it was closed. Hopefully next time. 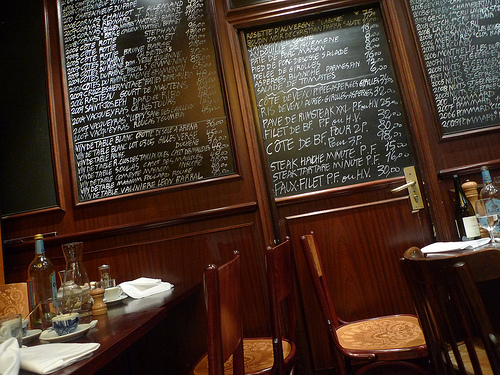 Would be great if you came up with a list of your favorite spots for Steak Tartare. 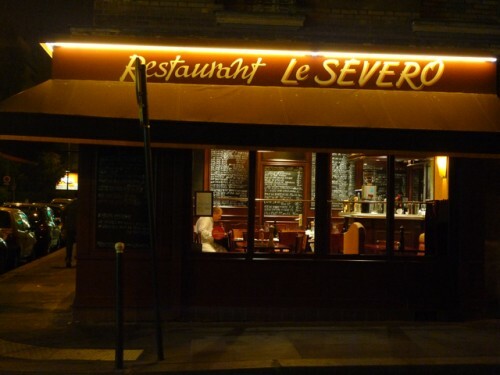 From what I’ve read Le Severo would be on the list and I was really hoping to try it… what other spots do you recommend? Mickey, I am pretty sure those are your side dishes — Pommes Frites or Haricots Verts. Choose the frites. Just FYI — I went to Le Severo with my husband and we ordered the cote de boeuf for 2. I normally go for more tender cuts but he loves cote de boeuf, and I’d agreed that I’d take one for the team if you had to order it for 2 minimum. Although he still talks about how great it was (and he’s French, they don’t usually gush), there were a few pieces I simply could not chew (and had to spit out). So if you’re at all like me, I’d recommend another cut (or smaller bites). Again, he LOVED it — I apparently need my teeth sharpened. are marked P.F. ou/or H.V. – anyone knows what this means? I’m lived in Paris for over 3 years from 2004 to late 2007. I recommend Le Petite Retro in the 6th with fabulous Art Nouveau decor. Just what you are looking for, I think. In the heart of Saint Germain des Pres, right behind Les Deux Magot. We had a great diner! Perfect steak, perfect Wine! Thanks for the kind words, Mr & Mrs S. I’ve reposted your topic in our discussion forum where we debate and answer questions exactly like this. You can follow the thread here. Hello-Just came across your wonderful site. You’ve done a splendid job!!! My wife & I are meeting another couple in Paris in mid Sept. We have been there many times, and have our favorites of course, but this is their 1st trip. They want to eat in a lovely Art Nouveau or Belle Epoch brasserie or bistro in the 6th. I wonder if you could make a recommendation or 2? They’re looking for the combination of good food in a lovely room [aren’t we all]. Often, the 2 are not connected. Thanks so much and again, Paris By Mouth is just outstanding. 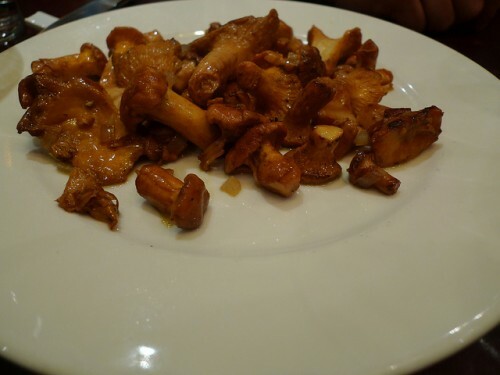 We headed to Le Servero recommended as a great place to have meat…. One of the people in our group wanted his meat well done, they refused to do it. fare enough, you have your standards, we order some appetizer for him. Imagine our surprise when our medium/rare meat arrived to the table completely cooked! The meat that did come medium/rare was actually fine. Certainly not fantastic enough to justify the snobishness. Some asswholeness is expected from the French. Even curious, But this place really goes the extra mile on this dimension.